With permission from Bruce Coville. Bruce Coville wrote a couple of books in the Planet Builders series, under the pseudonym Robyn Tallis (which was used by other authors in the rest of the series). 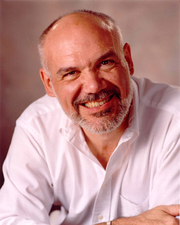 Bruce Coville is currently considered a "single author." If one or more works are by a distinct, homonymous authors, go ahead and split the author. Bruce Coville is composed of 12 names. You can examine and separate out names.